"Herbert finished top-30 last week on a course that was nowhere near as suitable as Vilamoura, where the wide fairways will allow the 22 year-old Aussie to open his shoulders off the tee and showcase extreme power." Outside of the elite and obvious names, the Spaniard was one of European Tour's most prominent players earlier in the season. From February to the start of July he racked up seven top 10s and did each-way punters plenty of favours as six of those were actually top fives. After a mini dip, Campillo gave a hint that some good form was returning when firing middle rounds of 65-68 at the Omega European Masters and he strung four consistent laps together (69-69-69-68) to make the top 15 at the KLM Open last time. Lots of birdies will be required in Portugal this week and Campillo ranks 14th in Birdie Average this season. He's made his last five cuts at this venue and finished T6 in 2015 so at 50/1 looks a decent bet to have another good crack at that elusive first European Tour win. This Portugal Masters venue is famous for favouring bombers, presenting an ideal opportunity to back somebody I believe to be one of the top emerging prospects in world golf, who still looks very much under the market radar. Lucas Herbert has fared well enough on his Euro Tour invites, making most cuts and most notably registering top-five finishes in the Nordea Masters and Sicilian Open. He finished top-30 last week on a course that was nowhere near as suitable as Vilamoura, where the wide fairways will allow the 22 year-old Aussie to open his shoulders off the tee and showcase extreme power. Herbert won't be anything like these odds when the Australian season starts in earnest soon, and I doubt we'll see them on this continent for much longer. We can completely ignore Andy Sullivan's missed cut here 12 months ago as he was in the midst of a dreadful slump. He hasn't exactly set the world alight this year but he's caught the eye of late, moving into contention in each of the last two events before a poor spell has tripped him up. One could be concerned by those mishaps or one could consider it typical play by someone just coming in to a bit of form. If it's the latter, he looks a very fair price at a venue that he and his fans adore. Sully's Army were in attendance in 2015 when he romped to a nine-stroke victory and they returned 12 months later to see him lose by a solitary stroke when defending, despite averaging more than 30 putts per round. He ranked 11th for Putting Average at the KLM Open last week so he could just be primed to win here again at an industry-best of 25/1. Though he is without a win on European soil, George Coetzee is a high-class operator who has shown the ability to go very close on the continent and this week plays a tournament that has regularly rewarded him. I think the 50/1 is a fair price for a golfer who has a top five and two further top 10s at Vilamoura with a worst finish of 31st in his five appearances there. Coetzee clearly performs on a track which plays to his strengths - big hitting, strong putting and making plenty of birdies. Coetzee landed his customary win in South Africa earlier this year and has played a relatively light schedule since but it looks like he is winding up for a few big paydays as the season comes to a climax. And with two cuts made in the last two weeks, including an encouraging outing at the KLM Open that was spoiled by one poor round, I am happy to back him to enjoy another good week in the Algarve. 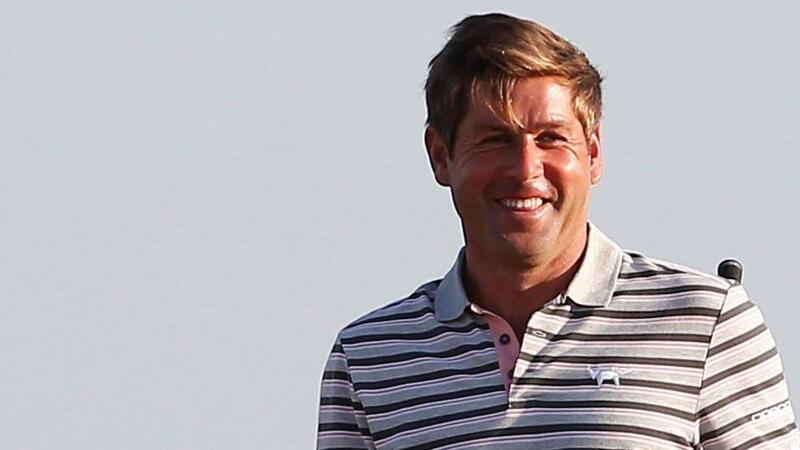 English golfers have a superb record at the Portugal Masters, either winning (five times) or being placed (six times) in all of the 11 years it has been staged. Robert Rock is a joint industry-best 66/1 on the Sportsbook and he's the Englishman that I'm happy to throw my cash at this week. The 41-year-old splits his time between playing and coaching these days but when he does tee it up he generally appears on leaderboards at some point. In recent months he's played just five times, recording respectable finishes at the Irish and Scottish Opens before finishing sixth at the Nordea Masters and T17 in Denmark, so we know the form is there. A missed cut a fortnight ago can easily be ignored now that he returns to a venue where he's previously played well. He finished ninth here in 2015 and fifth a year later so we have no worries about Rocky's liking for the course as he aims to land another knockout blow for the English.